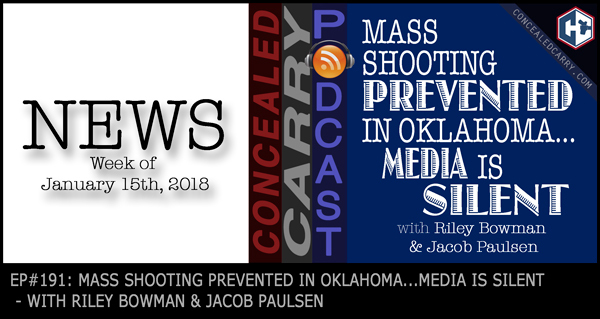 Riley and Jacob talk about some exciting news this week with some major legislative updates, new product announcements including a holster from a major manufacturer that incorporates a cooling fan. Say WHAT?!?! Also there is some pressure mounting within the White House for the Senate to take some action on the National Reciprocity Act. Perhaps President Trump can persuade Senate Majority Leader Mitch McConnell to take up the landmark legislation. Hit the ‘PLAY' button and listen in now!! Has Franklin Armory found an ATF loophole? Colorado Magazine Capacity Law Ripe for Repeal?